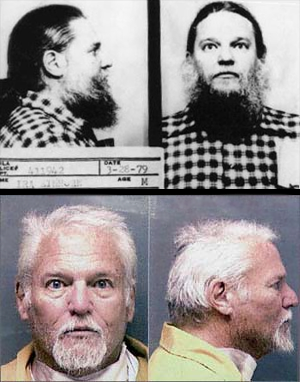 I offered a look back at Ira Einhorn, the Philadelphia “Unicorn Killer” in my 2002 Crime Beat column. I’ll never let you leave me. If I can’t have you, no one will. The jilted lover turned murderer is a classic character in crime fiction and in the true annals of crime. "To kill what you love when you can’t have it seems so natural that strangling Rita last night seemed so right," Ira Einhorn wrote in his journal in 1962 when their love affair ended. Fortunately, she survived the attack, but a later girlfriend would not be so lucky. Einhorn, often called Philadelphia’s "Hippie Guru," in the 1960s and 70s, was recently convicted in Philadelphia of the murder of his former girlfriend, Holly Maddux. The long road to his conviction and life sentence in a Pennsylvania prison began in 1977 when Maddux, a young woman who left Texas to attend Bryn Mawr College, was reported missing after she broke it off with Einhorn. When the police could not find her, the Maddux family hired a private detective to search for her. When neighbors complained about a horrible smell coming from Einhorn’s apartment in 1979, the police searched and found Maddux’s body in a locked steamer trunk in his closet. Arrested and charged with her murder, Einhorn’s attorney, former Philadelphia District Attorney and current U.S. Senator, Arlen Specter, arranged for several prominent business, social and civic leaders to testify to Einhorn’s good character. Despite the obvious fact that Einhorn kept his mummified girlfriend in a closet for 18 months, bail was set at $40,000. He skipped his pretrial hearing and fled the country. Einhorn, a local media darling, often appeared on TV and in the newspapers during the 1960s as a counterculture hippie spokesman and in the 1970s as a "New Age activist." He was a friend of 60’s radicals Abbie Hoffman and Jerry Rubin, as well as the pet radical of some of Philadelphia’s bluest bloods and wealthiest corporate leaders (to get a better understanding of this type of odd social pairing, read Tom Wolfe’s great piece, Radical Chic). As the name Einhorn translates to "one horn," he began to call himself "the Unicorn." He lived off of the kindness and money of gullible supporters. He was largely a media creation, it seemed to me. He was, both then and now, a sociopath and con artist.